Step into the world of Michael Porter Jr., the nation’s top player, the leader of the No. 1 team in the country. It’s an unforgettable journey unlike any other seen in high school basketball. From the 6-foot-10 small forward’s move to Seattle to his dominant play for Nathan Hale (WA) under coach and former NBA All-Star Brandon Roy, this season was one for the record books. A perfect 29-0 record. A state championship. Countless honors and accolades. This is the life of a young superstar. 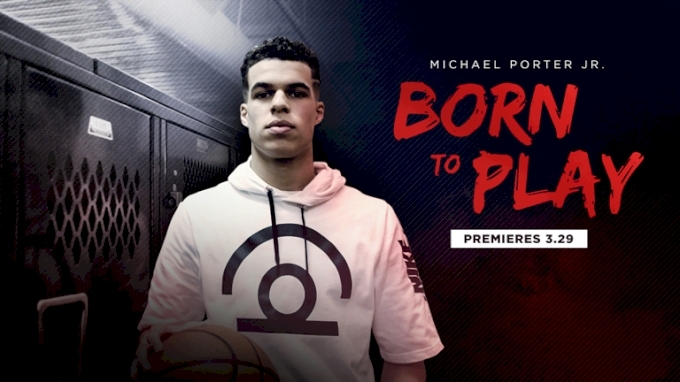 Michael Porter Jr. was born to play basketball, and his story comes to life on March 29.